READY TO SHOW is a professional contract clothing trade show. 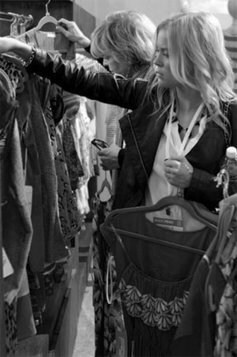 READY TO SHOW marked the first event organized in Italy to give international apparel, accessory, textile and leather manufacturers direct access to major European buyers, including importers, private labels, large retailers and all other imported apparel and textiles users. READY TO SHOW is well-known in Italy as the one and only place to source garments. knit wear and accessories from non E.U counties. READY TO SHOW will reach all Italian and European buyers through direct mailing, internet links, and publicity in the European trade and business press. A direct postal and e-mail marketing campaign has already been initiated, targeting buyers’ lists that are both selective and exhaustive, to attract the maximum number of qualified customers. Many of these lists are in-house databases developed in over 30 years of our personal experience of trade show organisation. In addition, special advertising will be planned in July 2017 at FIERA MILANO where is organized the famous Fabrics Fair MILANO UNICA. Shuttle bus service will be offered to all visitors to facilitate return to Milano down town. International advertising will be made with major market places. But also from abroad (28%) and especially Western and Eastern Europe, Middle East and Asia. 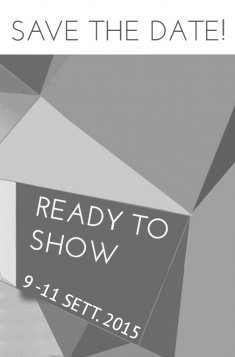 READY TO SHOW is dedicated to apparel and fashion accessory producers from all over the world! These producers can be represented in the show by European agents, or even subcontractors, but the focal point is to produce outside the European Union and to supply new sources for the European market. READY TO SHOW is open to producers of Menswear, Womenswear, Childrenswear, Active sportswear, Underwear, Swimwear, Leatherwear, Knitwear and fashion accessories (scarves, ties, bags, shoes, etc....). We'll also welcome producers of fabrics and yarns. This is an additional opportunity for them to be present on the market. 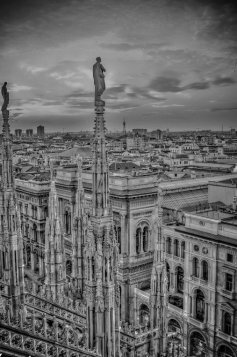 Milan is the fashion center of Europe: textile manufacturers & top designers have their flagship stores in Milan. Milan is the place where the Italian fashion leaders are showing their collections (Armani, Dolce & Gabbana, Gucci, Versace, Zegna, Max Mara and hundreds of other designers). Milan, linked with Como, Biella, Prato, and Carpi, is the largest European marketplace. Around the time of READY TO SHOW, Italian and International buyers frequently visit Milan to source the best of “Made in Italy” products for quantity orders (department and chain-stores, mail orders, hypermarkets…). They will appreciate the presence of international suppliers too! More and more international buyers are looking for new suppliers from Italy. 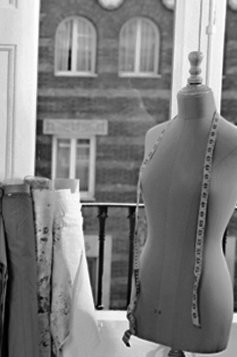 They may be up-coming young fashion designers, not so famous brandnames, new franchisors... but also producers "Made in Italy" who offer their quality and production capacity, just as production partners for clients' private label. One can find in Italy, the best cashmere knitwear, jeans, shirts, mensuits,... and much more! But also leather accessories, scarves & ties, fashion jewelry and all sophisticated creation and handicraft! 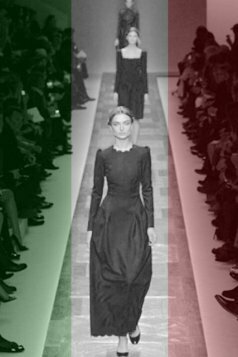 AREA ITALIA has been created to give a professional support to this new trend of Italian fashion export. International buyers and buying offices located in Italy can source together with us the best of Italian Fashion system! Tortona Design & Fashion owned by Georges Papa is a Consulting Company specialised in Textile and Garment business.Georges Papa has been operating in Milano since 1981. 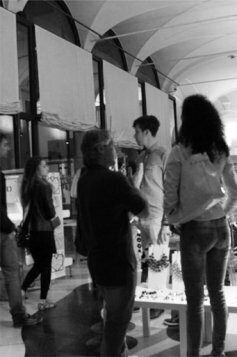 Tortona Design & Fashion organizes now both READY TO SHOW, the only clothing outsourcing trade show in Italy and INTERTEX MILANO the only fabrics outsourcing trade show. launch of products, and publicity catered for any specific needs to italian and international clients.